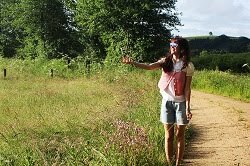 Taimemode - Fashionblog: Accessoire *2*: Le Fichu de Printemps! Accessoire *2*: Le Fichu de Printemps! It's a touch of your personality and you wear it good Sandy!! It suits you perfect! Interesting accessorize for warmer time! Such a sweet print on your scarf! I love the second photo, you look so happy and the scarf looks great with your lip color! Oh so pretty! 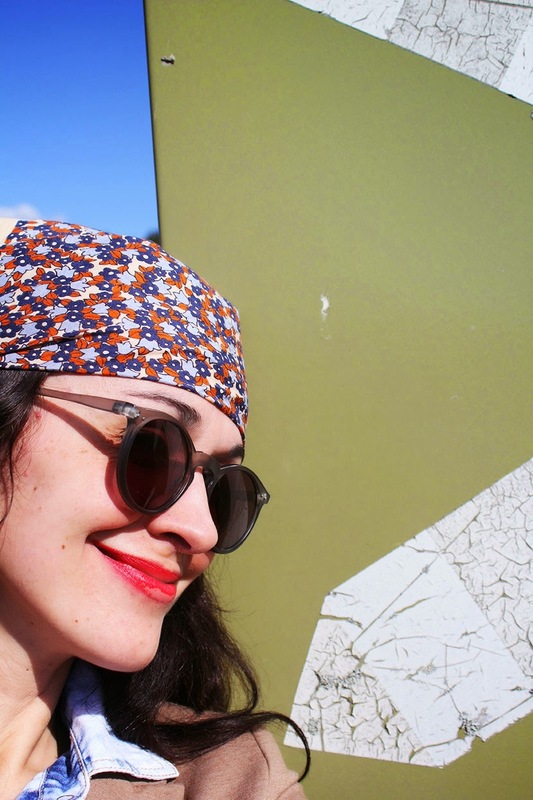 I love bandanas and head bands for summer! They're perfect to look stylish and keep the hair out of the face during summer. What a refreshing look! I've never worn a headscarf before but you make me want to try one. 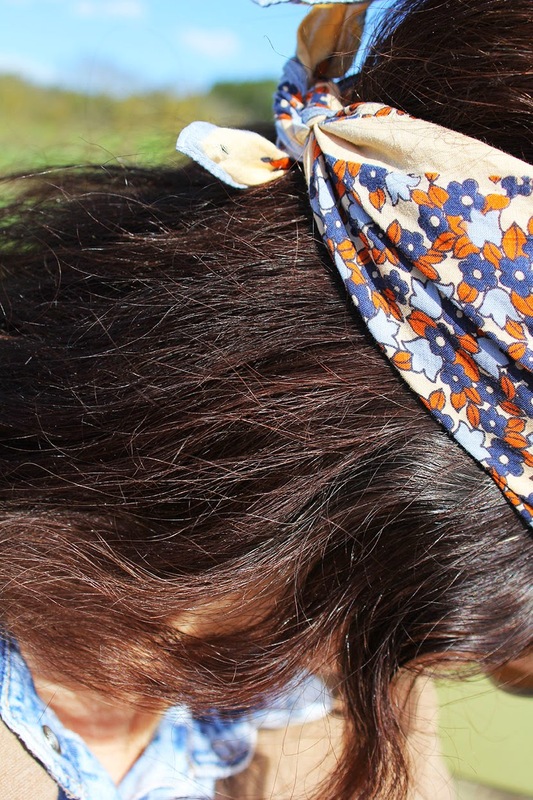 Wow, love the hippie style headscarf!! You make it look effortless and cool! I've never tried wearing one of these before! It looks so great on you! So cute! Love this floral print.